It’s always a real treat when we get the chance to with work easy going, like minded clients. 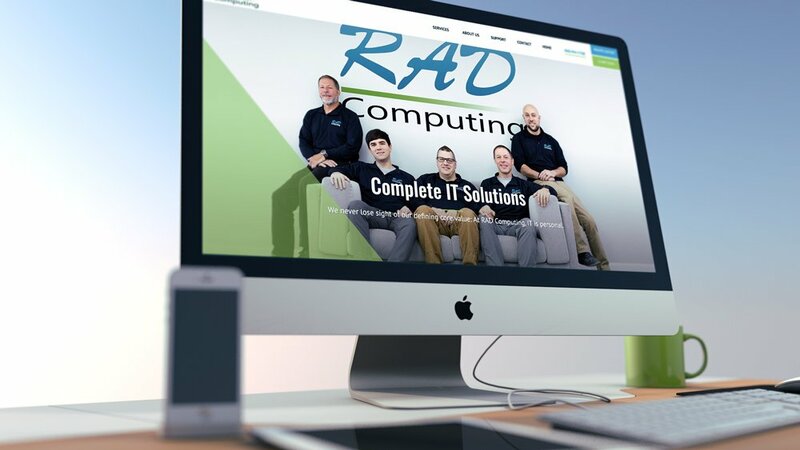 The process goes so smoothly and effortlessly that it feels like only a few days have passed since we first started working with them, and the folks at RAD Computing fit this bill. 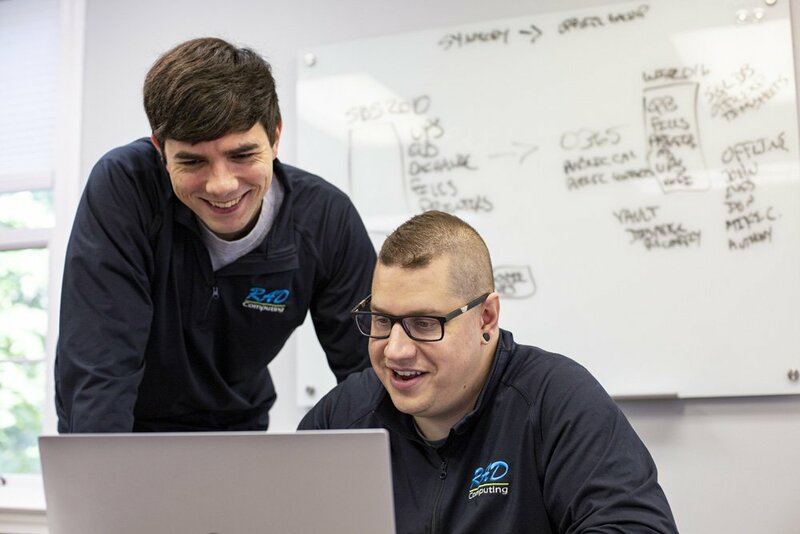 Rod, the founder and owner of the company, came to us to help redesign his old website and make it less technical, drab in appearance, and help make it more approachable. Sometimes a website’s jargon can become so technical that a potential client can’t make heads or tails of what it is the company actually does and offers. This in turn can also have an effect on the website’s flow and design. Our goal as designers is to make the message clear as day, while also making the content flow smoothly and look pleasing to the eye. 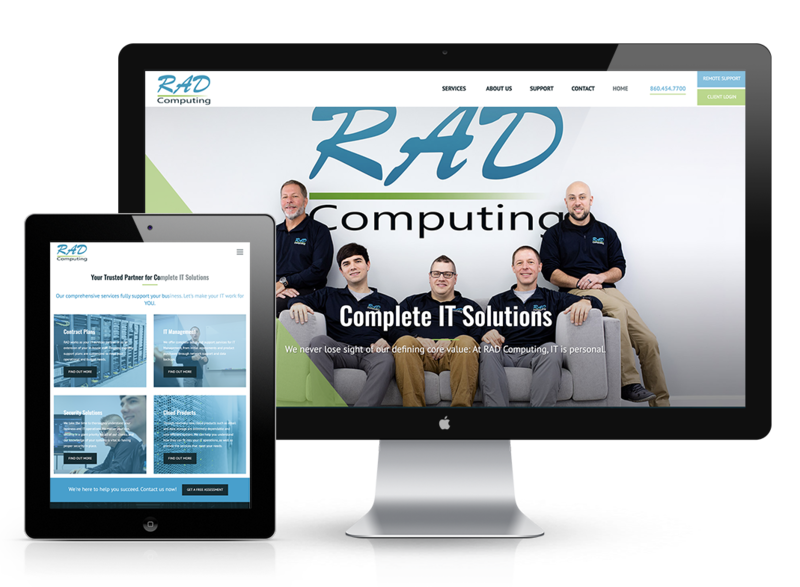 Being a tech company, it was only natural that we bring Rad Computing’s website into the modern age with a new savvy design and layout, as well as making their message of what this company has to offer very clear and easy to understand, while also making navigating through the website feel as natural as breathing air. 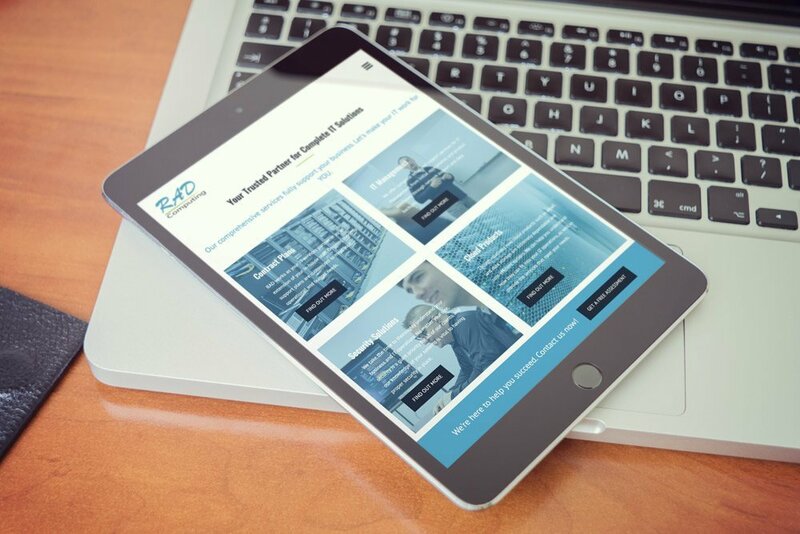 We also love it when we are able to add our photography skills to their website. This helps them stand out from competitors because they’re not strictly relying on stock photos to fill out their site. 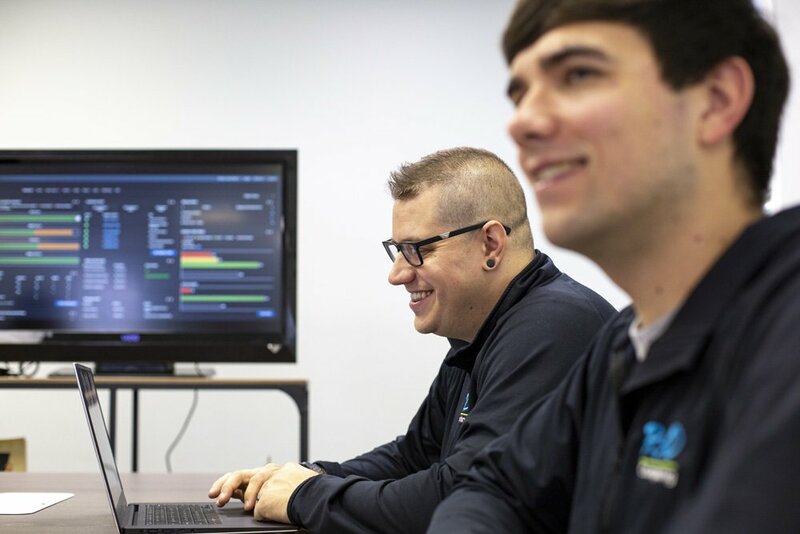 Having real photos of them while their working or photos of people from around the facility solidifies the company’s credibility because these are actual people doing the actual work, not models hired to look like they know what they’re doing. 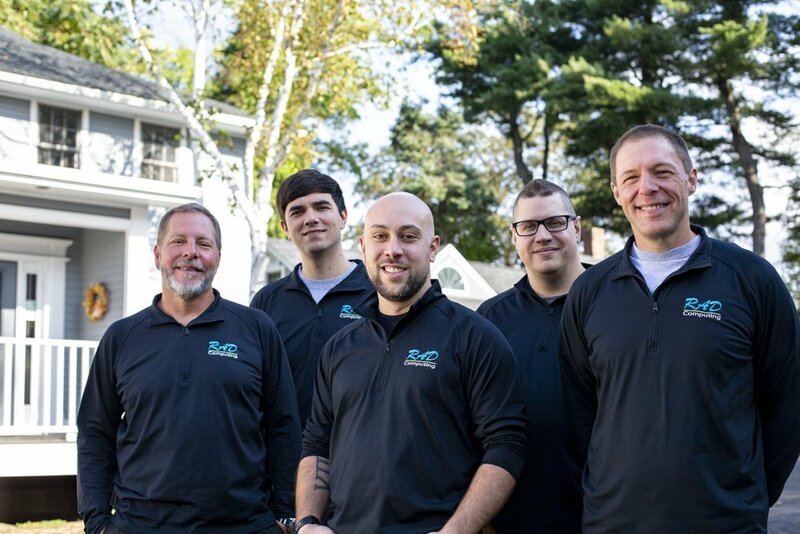 Head on over to their site by clicking the button below to not only see great this site is, but also to see all the services this hardworking company has to offer. You won’t be disappointed!